4450401 P60Z LINDE P60Z Tow Tractor. Spare Parts Catalog. Service (workshop) Manual. Operator's Instruction Manual. 4450402 W12 LINDE W12 Tow Tractor. Spare Parts Catalog. Service (workshop) Manual. Operator's Instruction Manual. 4450403 W20 LINDE W20 Tow Tractor. Spare Parts Catalog. Service (workshop) Manual. Operator's Instruction Manual. 4450404 P60Z LINDE P60Z Tow Tractor. Spare Parts Catalog. Service (workshop) Manual. Operator's Instruction Manual. 4450405 P250 LINDE P250 Tow Tractor. Spare Parts Catalog. Service (workshop) Manual. Operator's Instruction Manual. 4450406 W20 LINDE W20 Tow Tractor. Spare Parts Catalog. Service (workshop) Manual. Operator's Instruction Manual. 4450407 P50 LINDE P50 Tow Tractor. Spare Parts Catalog. Service (workshop) Manual. Operator's Instruction Manual. 4450408 P30 LINDE P30 Tow Tractor. Spare Parts Catalog. Service (workshop) Manual. Operator's Instruction Manual. 4450409 P50 LINDE P50 Tow Tractor. Spare Parts Catalog. Service (workshop) Manual. Operator's Instruction Manual. 4450410 P20 LINDE P20 Tow Tractor. Spare Parts Catalog. Service (workshop) Manual. Operator's Instruction Manual. 4450411 P50Z LINDE P50Z Tow Tractor. Spare Parts Catalog. Service (workshop) Manual. Operator's Instruction Manual. 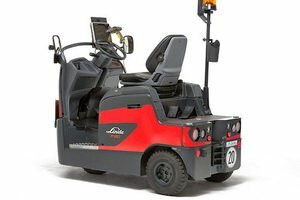 4450412 P200 LINDE P200 Tow Tractor. Spare Parts Catalog. Service (workshop) Manual. Operator's Instruction Manual. 4450413 P30C LINDE P30C Tow Tractor. Spare Parts Catalog. Service (workshop) Manual. Operator's Instruction Manual. 4450414 P50C LINDE P50C Tow Tractor. Spare Parts Catalog. Service (workshop) Manual. Operator's Instruction Manual.